This Toyota Prius runs and drives great. Clean leather interior, NON SMOKER!!! BRAND NEW HYBRID BATTERY PACK COMES WITH 2 yr 24k mike Warranty On hybrid battery. At Cody’s Automotive we operate differently than most dealers. That’s because FIRST, we are a reputable repair facility that operates with honesty and integrity and ALSO provides quality vehicles for sale to our customers, family, and friends. We fully inspect and drive every vehicle we sell. We service and repair needed issues so that we can stand behind these vehicles the same way we stand behind our repairs. We are NOT here to push each vehicle through as fast as possible, putting the least amount into them to turn the greatest profit. We ARE here to sell and stand behind quality vehicles and to build lasting relationships with our customers. Check us out online, read our reviews, and follow us on social media. 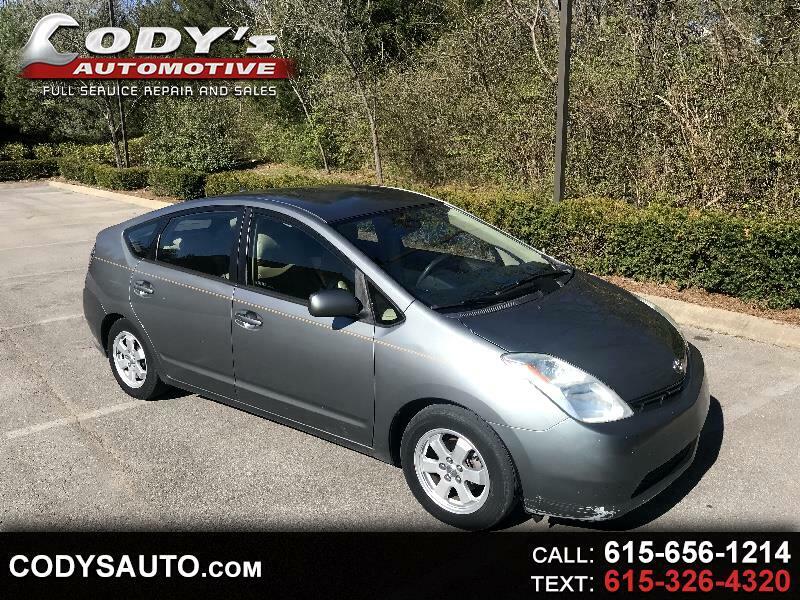 Visit Codys Automotive online at codysauto.com to see more pictures of this vehicle or call us at 615-656-1214 today to schedule your test drive. At Cody’s Automotive we operate differently than most dealers. That’s because FIRST, we are a reputable repair facility that operates with honesty and integrity and ALSO provides quality vehicles for sale to our customers, family, and friends. We fully inspect and drive every vehicle we sell. We service and repair needed issues so that we can stand behind these vehicles the same way we stand behind our repairs. We are NOT here to push each vehicle through as fast as possible, putting the least amount into them to turn the greatest profit. We ARE here to sell and stand behind quality vehicles and to build lasting relationships with our customers. Check us out online, read our reviews, and follow us on social media.